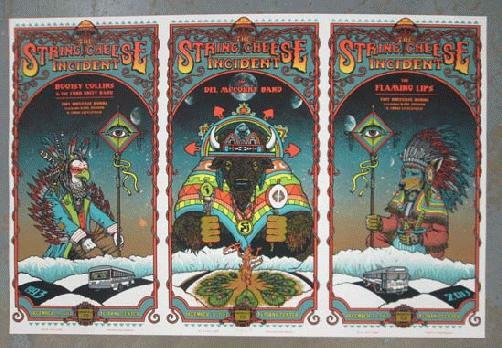 Original 7 color silkscreen UNCUT concert poster for three nights of The String Cheese Incident at the First Bank Center in Broomfield, CO in 2013 for New Years. 24 x 36 inches. NM condition. 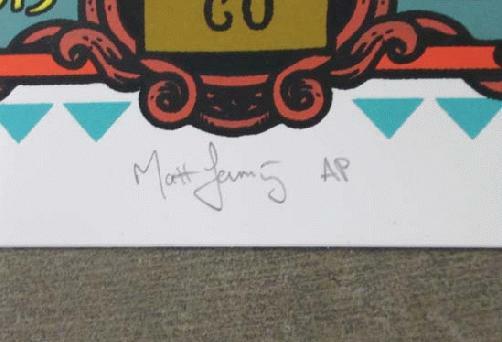 Signed as an Artist Proof by the artist Matt Leunig.